 EmergencyList is an emergency theatre booking system, developed to improve efficiency & communication, aid prioritisation and reduce errors in the handling of emergency operations in acute NHS hospitals. 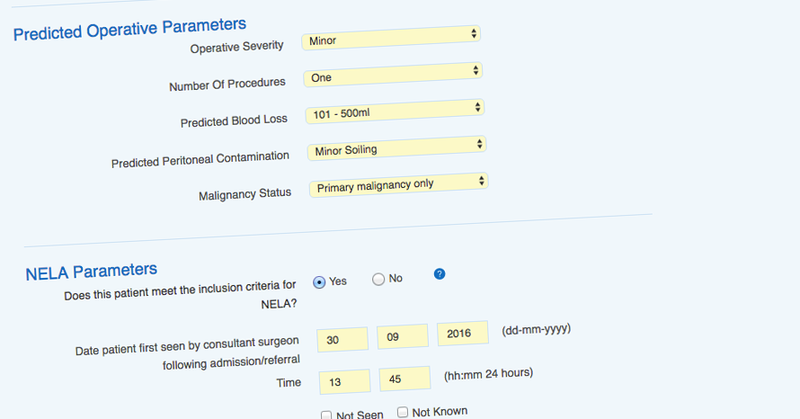 EmergencyList offers a clear view of pending cases, presenting important clinical information, Consultant and Anaesthetist notes and mortality scores. 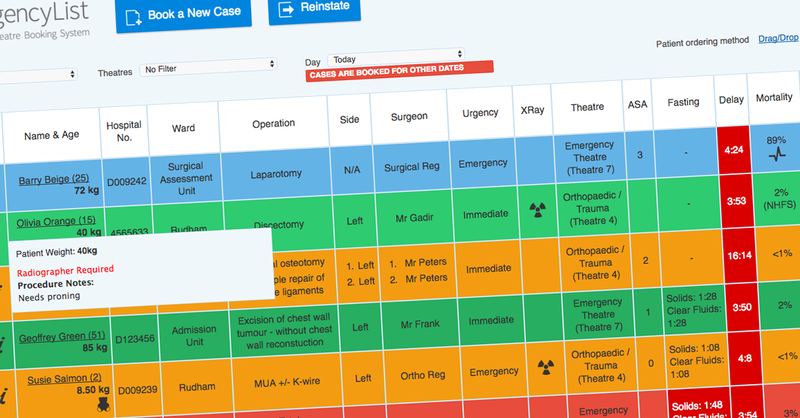 EmergencyList aids the progress of cases with defined processes for Clinicians, Anaesthetists and Theatre Staff. 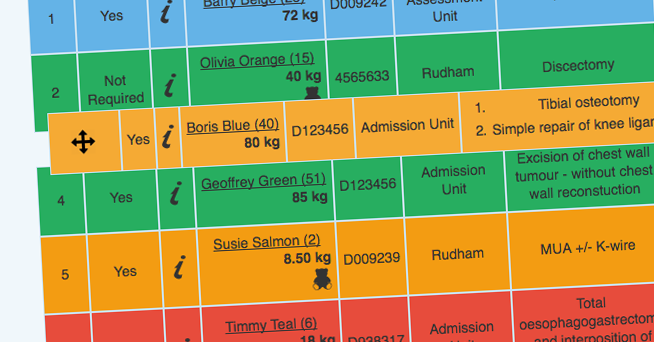 Dear Dr Nunn, I just wanted to tell you what a brilliant thing your booking system is! You have made our lives so much easier now. I only wish other hospitals could have the same thing. Dear David, I was one of the anaesthetic trainees in Norwich a couple of years ago... what a great program the emergency theatre system was ... Is there any possibility it could be installed in King’s Lynn? Just wanted to say how much we enjoyed the presentation, it was great to see your system - very impressive! The anaesthetists thought it was fab and i know they have been telling surgeons all about it.